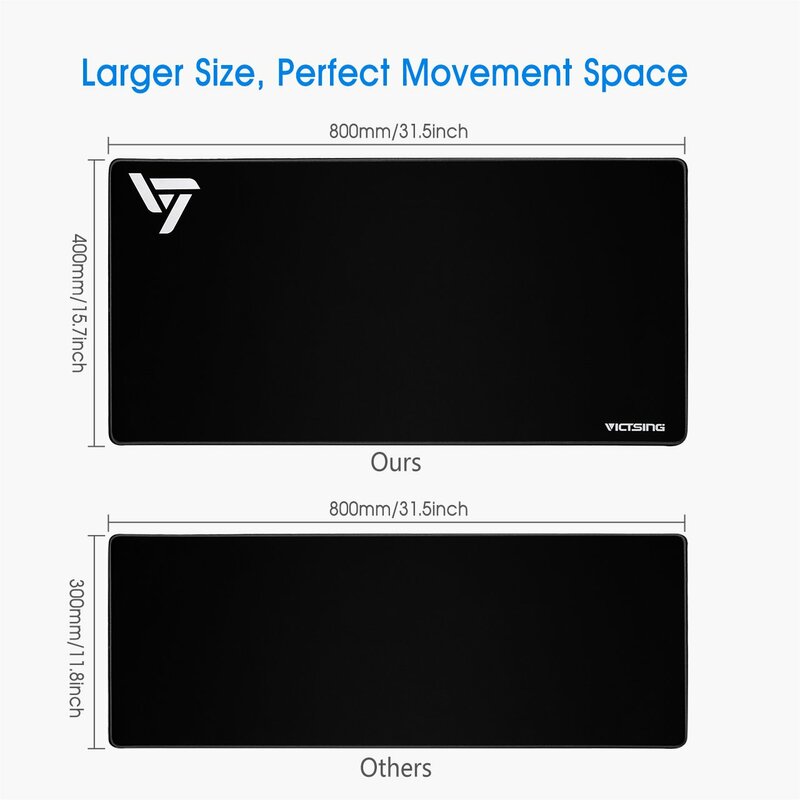 ✔【Large and Perfect Size.】The size of 800×400×2.5mm(31.5×15.75×0.12inch) will fit your desktop perfectly and provide perfect movement space. Applies to all types of keyboards and mice. ✔【Ultra-smooth Surface. 】Designed with superfine fiber braided material, the smooth surface allows more accurate mouse movement. Optimized for fast movement while maintaining excellent speed and control during your work or game. 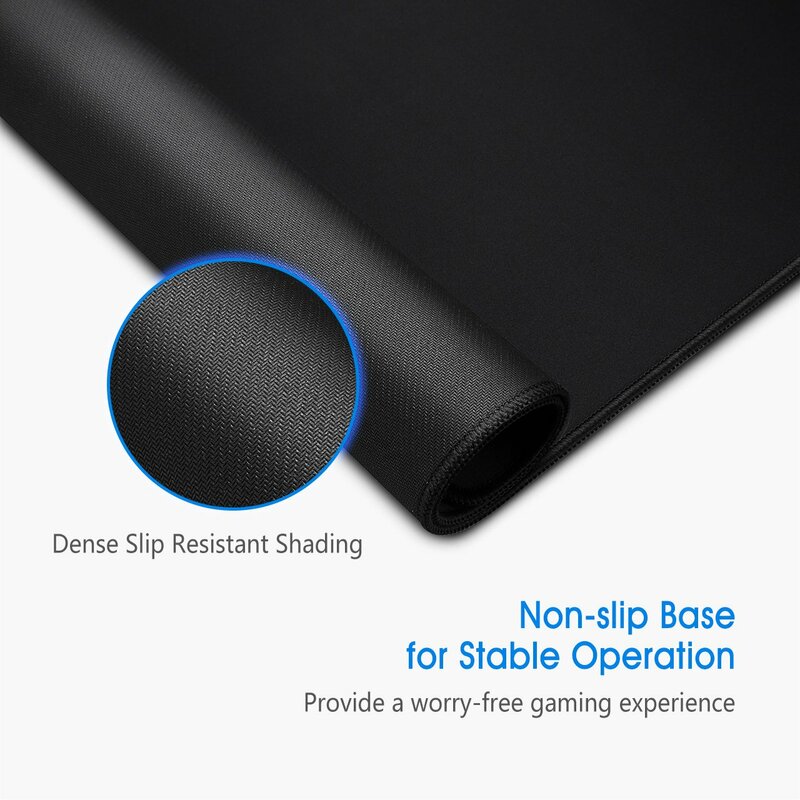 ✔【Non-slip Rubber Base.】 Dense slip-resistant shading can firmly grip the desktop to provide stable operation of the mouse and keyboard. It can effectively prevent the mouse and keyboard from sliding and moving. 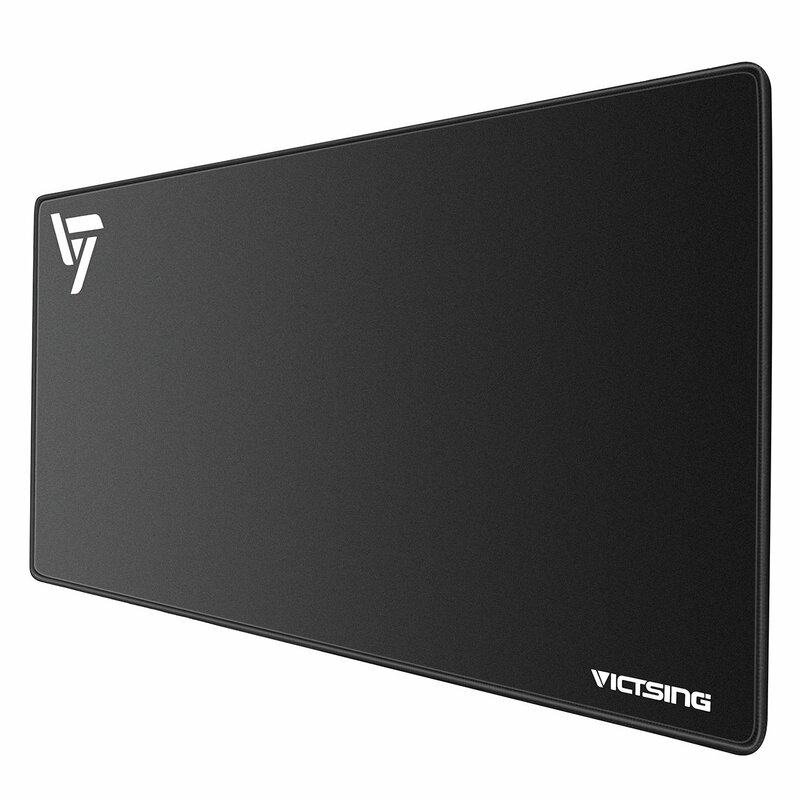 VicTsing large size mouse pad is ideal for gaming or office work, comfortable and durable, to provide you with the perfect using experience. 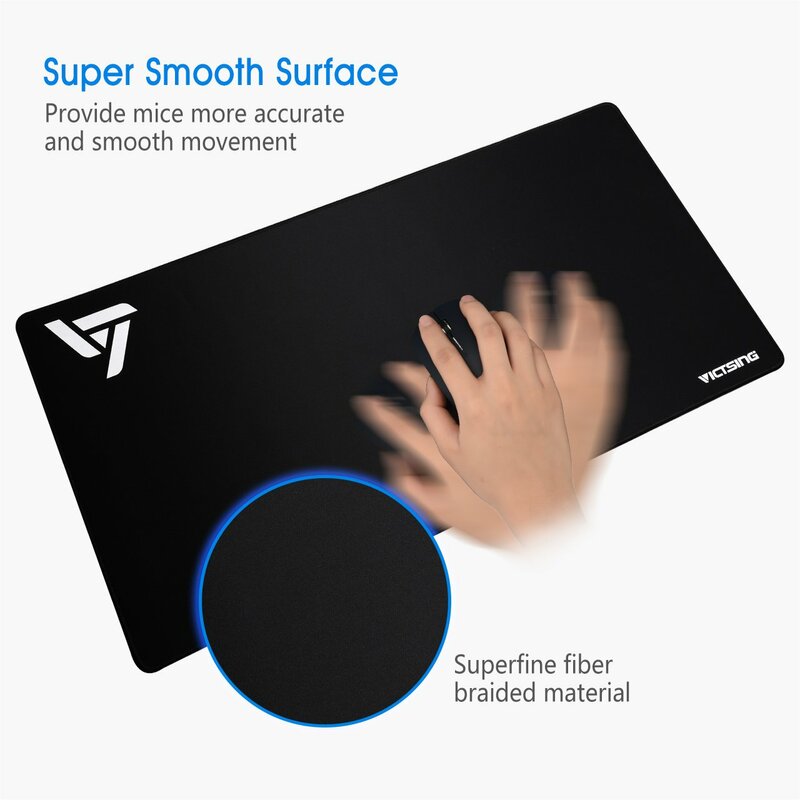 The fine textured surface of the mouse pad provides a unique combination of speed and control for your mouse sensors. Ideal for computer games or daily computing task. 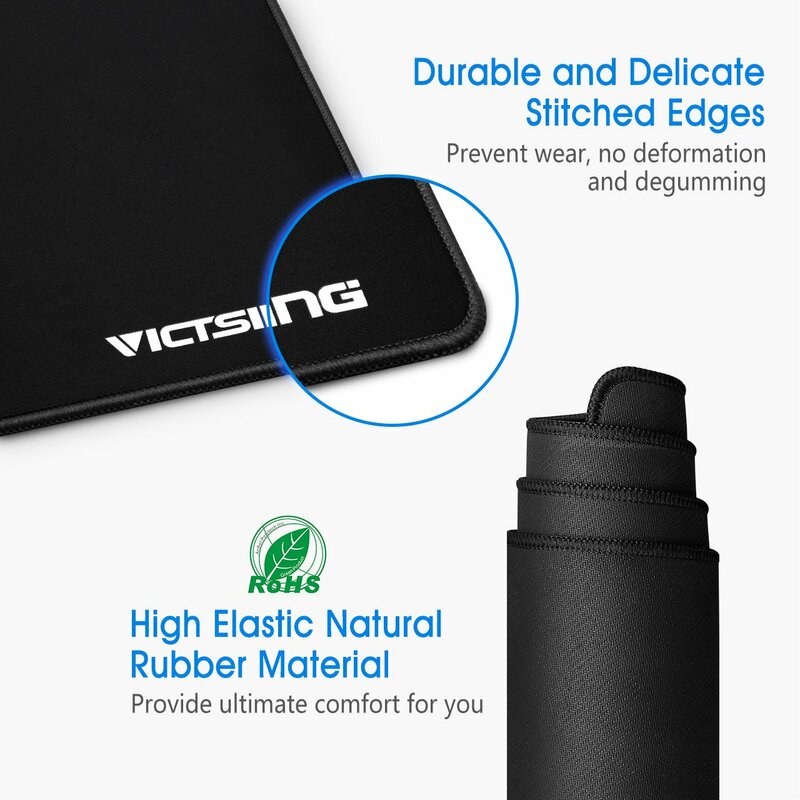 The bottom of the mouse pad is stitched together with the non-slip rubber base. 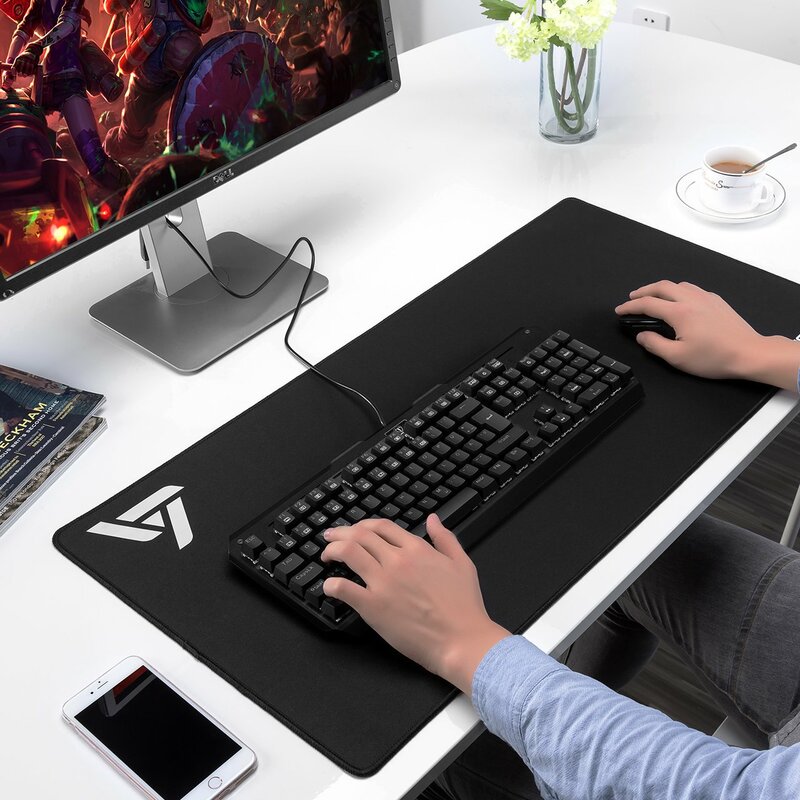 You won’t get distracted by the sliding of mouse pad when you’re working or playing games. Our mouse pad features durable stitched edges to prevent the mouse pad from fraying and degumming. It also enhances the aesthetic and lifespan of the mouse pad. With ROHS-certified, this mouse pad is made of environmental material to ensure the safety of your health. It is non-toxic, and safe to use. 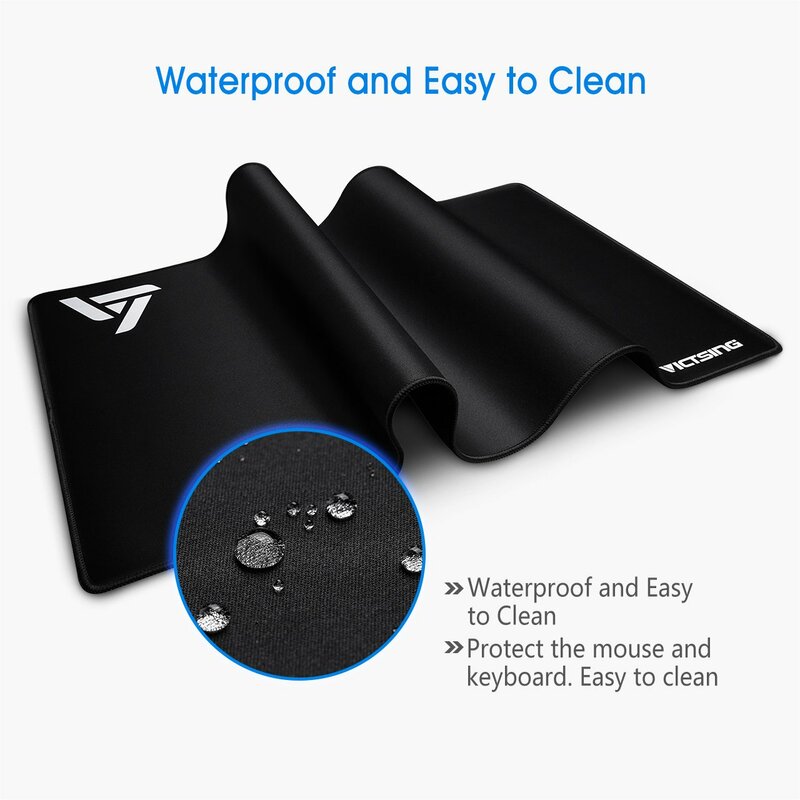 ✔【Water Resistant Coating. 】Effectively prevent accidental damage from spilled liquid. When liquid splashes on the pad, it will form into water drops and slide down. It’s easy to clean and will not delay your work or game.